We call it voice strategy when brands are thinking about how they want to be present in the new voice landscape that is exploding right now. People are becoming used to digital assistants and the use of voice controlled speakers are bringing the assistants even nearer to your voice. In the US 23% are using smart speakers or assistants according to Voicebot.ai, 2018, and by 2020 it will reach 55% according to Juniper Research, 2017. We design and develop voice services on Google Home. 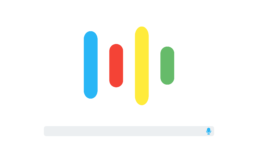 Using Voice UX and 20 years of experience of building voice dialogue systems – we can handle everything from your strategic voice design to the implementation of your services. This includes the recording of pre-recorded voice prompts using our network of 100 professional speakers.